This week is the annual Carnival celebration on St. Thomas, and it’s made me nostalgic. The job that gave me my start was at the Virgin Islands Daily News, where tourism and the environment were my beats. Even now, almost 10 years later, I still get asked for my recs on St. Thomas, St. John, St. Croix, and the British Virgin Islands. First off: why go? I still consider the Virgin Islands one of the top five most beautiful places in the world. Everyone from Walter Cronkite to Richard Branson has made it his regular playground. When you’re on a boat between the USVI and BVI, with the islands rising as green mountains from the out of the blue, you’ll see why. Ideal Hotel: Bolongo Bay Beach Resort. Sure, you may have hotel points for the Marriott or Ritz-Carlton on St. Thomas, and they’re both great. But for a family-run resort right on the beach, Bolongo Bay is a classic. The Doumeng clan has done a smart job running it for 40 years. You can rent all kinds of watersports equipment, and for Christmas, Santa parasails in. Plus, the best karaoke on the island is at Iggie’s Beach Bar. Eco-Camp: Concordia Eco-Resort. If you appreciate nature and want to help the V.I. preserve it, there’s no better place to stay on St. John than Concordia. Founder Stanley Selengut became an environmental legend for creating the now-closed Maho Bay Camps in the V.I. National Park. Luckily, Concordia now fills that niche on the other side of St. John. Selengut’s wood-and-canvas eco-tents feel like scenic treehouses on the hillside. Locals’ Brunch: Hook, Line & Sinker. There are ample $75 resort brunches with caviar, crab legs, and bottomless mimosas—and I’ve done ’em (ahem, Caneel Bay). But if you want to enjoy a reasonably priced brunch with long-timers rather than tourists, Hook, Line & Sinker is your spot. You’ll sit right on the water in the Frenchtown area of St. Thomas and enjoy winners like the lobster omelet. Perfect Hikes: V.I. National Park. Even if you’re not usually a hiker, your trip isn’t complete without a stroll in the V.I. National Park on St. John. Beginners, grab a picnic lunch at Deli Grotto in Mongoose Junction, then take the flat, easy 1-mile walk to Solomon or Honeymoon Beach. Practiced hikers, don’t miss Reef Bay for the petroglyphs or Ram Head for wide-open views on the other side of the island. Surprising Towns: Christiansted & Frederiksted. Down on St. Croix, about 40 miles south of St. Thomas, both Christiansted and Frederiksted offer colorful, historic towns. 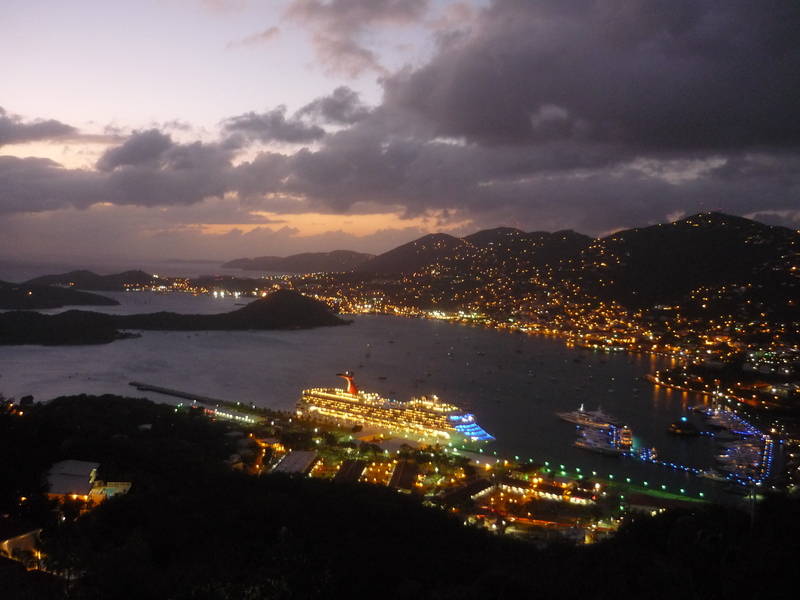 Both are much lower-key than St. Thomas’ harbor town of Charlotte Amalie, with its cruise ship crowds. Christiansted and Frederiksted each have ample dining, shopping, and cultural sites, including vibrant old forts. For an extra kick, take the seaplane down to St. Croix. Can’t-Miss Drinks: Bushwhackers & Painkillers. A USVI specialty, the Bushwhacker is a rich mix of six or seven liquors, but you’d never know it. A Bushwhacker goes down like a chocolate milkshake. Over in the BVI, the specialty is the Painkiller, a slightly less lethal blend of OJ, pineapple juice, cream of coconut, and fresh-ground nutmeg. Either way, you can’t lose. Classic Watering Hole: Betsy’s Bar. Professors, reporters, fishermen, even the governor—they all meet up at Betsy’s. Owner Betsy Sheahan will greet you with the chipper Wisconsin vowels she still hasn’t lost after decades on island. This isn’t the place for blender drinks—save those for the beach bars. Order a rum and coke, play darts, and watch the island go by. Beaches for Every Personality: Mile-long Magens Bay is the mother of all St. Thomas beaches and the best place for sheltered swimming. 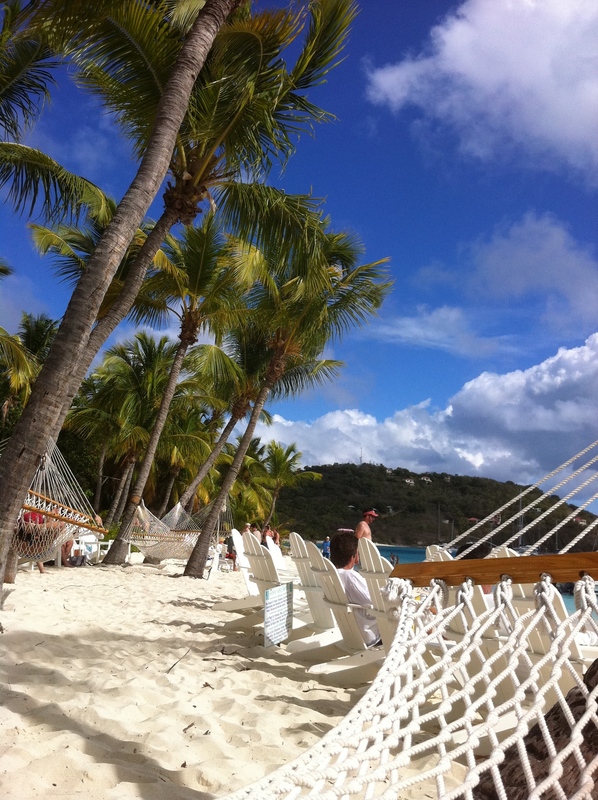 On St. John, Cinnamon Bay is idyllic—bigger, less crowded, and more active than Trunk Bay, and every bit as beautiful. On St. Croix, the live music and social scene make Rainbow Beach the place to be. Detailed descriptions of everything you could want to know about USVI beaches are here, starting with St. Croix. Happy Place: Soggy Dollar Bar. To this day, when I’m in the dentist’s chair and need to dissociate by taking a mental trip to the islands, I put on the reggae and re-imagine this spot. The Soggy Dollar Bar remains my happy place. 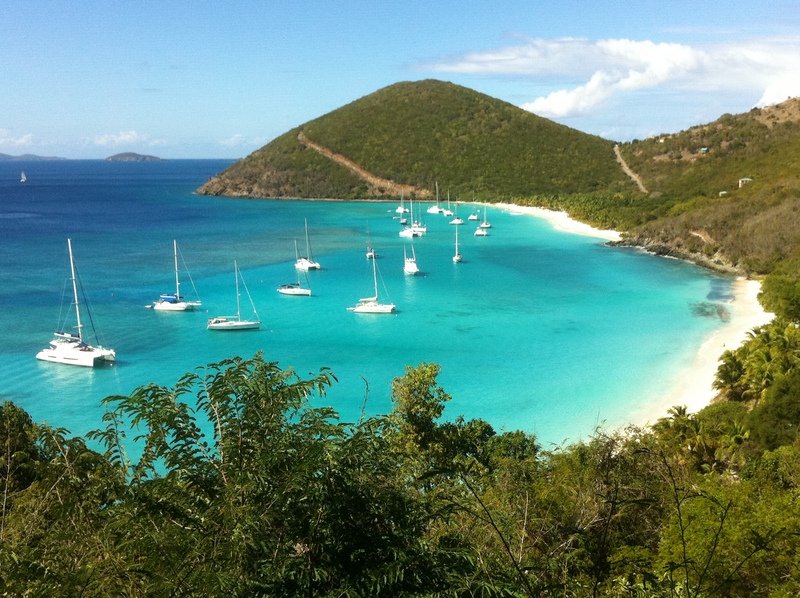 To get there, rent or hop a boat to the 150-resident British Virgin Island of Jost Van Dyke. There’s no dock, so swim up, forget shoes, order a Painkiller, relax in a hammock, and don’t worry about paying with wet money. Bartender Mic will hang it out to dry. This has been a long list, but there’s lots more in the V.I. What did I miss?